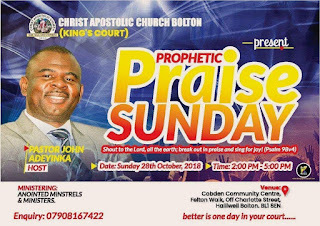 Christ Apostolic Church, King's Court Assembly, Bolton, United Kingdom will today Sunday October 28, 2018 holds "Prophetic Praise Sunday" programme from 2pm to 5pm. 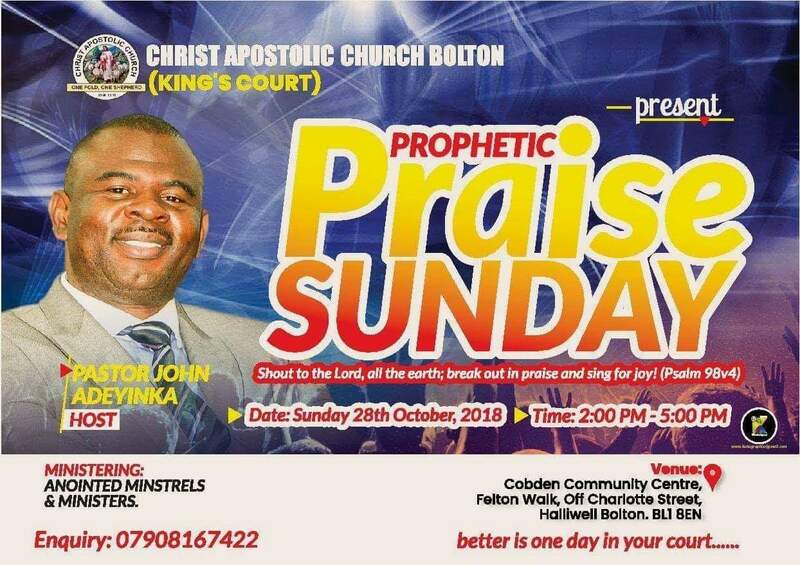 The church is situated at Cobden Community Centre, Felton Walk, off Charlotte street, Hallwell Bolton. 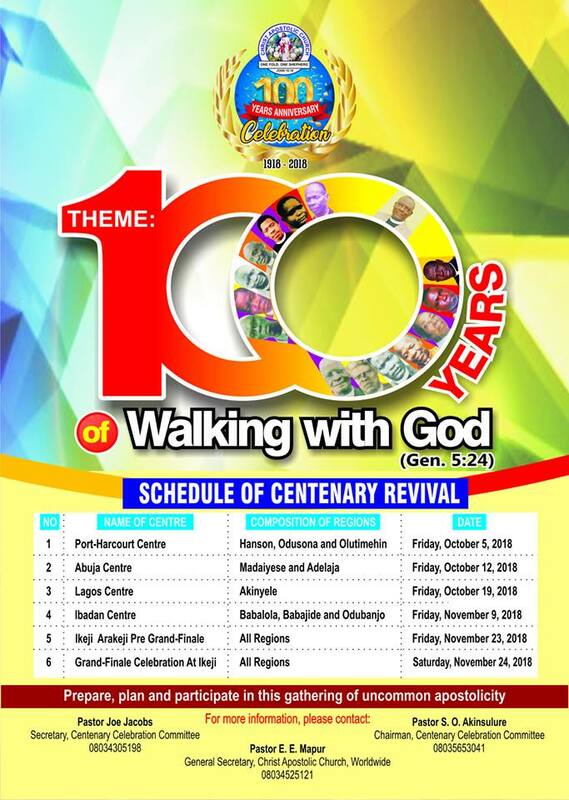 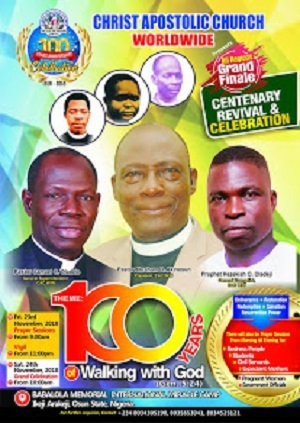 The minster in charge of the assembly is Pastor John Adeyinka.